Bollywood actor Ranveer Singh and Alia Bhatt's latest release Gully Boy has released amid high expectations today, i.e February 14. In her latest interview, Filmmaker Zoya Akhtar has said that the film addresses the class system and economic disparity in a city like Mumbai. Helmed by Zoya Akhtar, the film has been co-produced by Farhan Akhtar and Ritesh Sidhwani under the banner of Excel Entertainment. The wait for the much-anticipated film Gully Boy starring Ranveer Singh and Alia Bhatt is over as the film has finally hit the theatrical screens today. Gully Boy has been making all the right buzz ever since the first look of the film has dropped. The highlight of the film has been its music as the film revolves around Mumbai-based rappers and homegrown Hip Hop music. 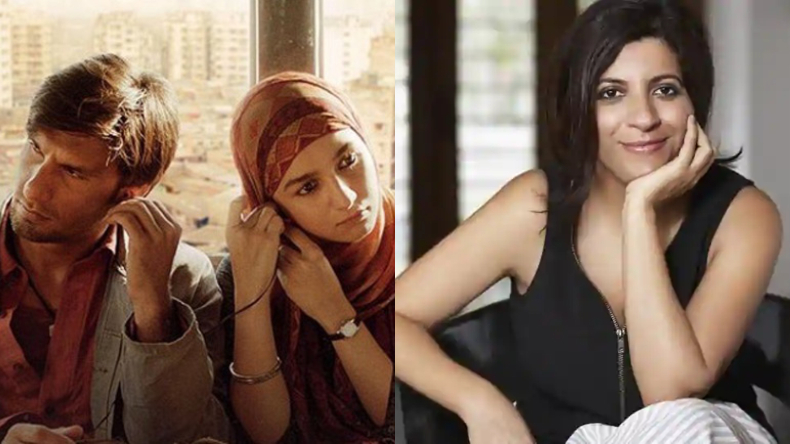 Delving into varied layers of Gully Boy beyond its music, Filmmaker Zoya Akhtar has revealed in a conversation with a daily that the film is about the class system and economic divide. Addressing the debate around Gully Boy’s song Azadi, the filmmaker said that Azadi is a strong word and it is a sentiment that is closely associated with the youth. The term has been used before the JNU controversy and it will be used after this as well. She added that she wanted to adapt the track into her narrative as the class system in India is very unfair and her film is set in that space. Reacting to the overwhelming response received by Gully Boy at the Berlin Film Festival, Zoya said that it is good to have foreign audiences’ perspective saying that it is a social critique or has a feminist spectacle. Feeling happy and relieved, Zoya added that she is looking forward to witness how the Indian audience reacts to the film. On being asked whether she expected Gully Boy’s music to become such a rage, Zoya said that one has to work on it and fit it in the narrative. Calling homegrown hip hop music a mirror to the society, Zoya revealed that it deeply attracted her and she wanted to capture it.